Customers have been begging us for these Steinberger battery box covers for years and years, so we finally decided to produce our own. Once again, we contacted lots of different manufacturers, but when we were done, the best design and the highest quality part came from the same town as the original Steinberger/Newburgh plant! 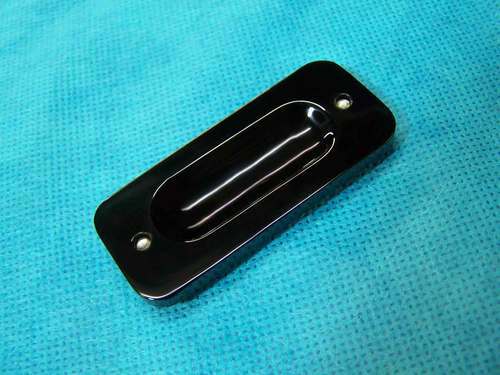 We have contracted with Jeff Babicz, a former Steinberger factory employee, to make these impossible to find parts for us. 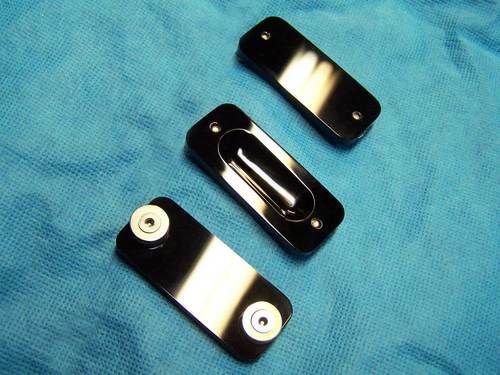 These are hand-made replacement parts and they are built using the highest grade of materials available for a lifetime of service. 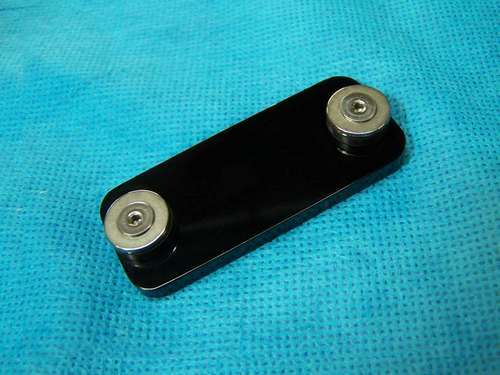 For those of you who have struggled with these parts in the past, you are aware that this battery cover was really not a well engineered part. 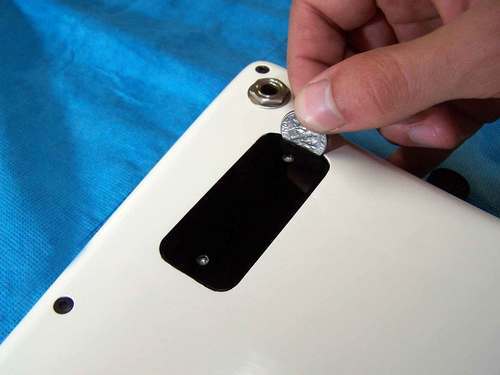 Although they appear to be simple and basic battery covers, very few customers got the "knack" of removing and replacing them on their guitars. Part of the problem was that there were no instructions with the guitars to explain how to remove and install these covers. Because of this, many customer "assumed" that the removal of the cover required loosening of the two allen screws at the ends of the plastic cover. 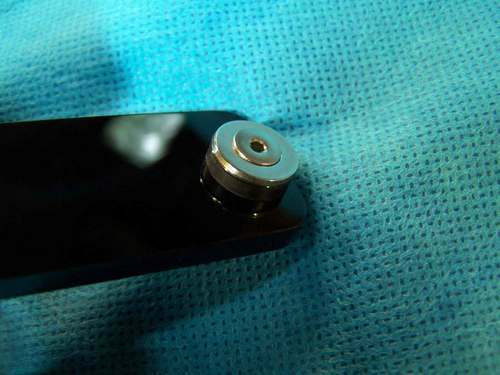 Invariably, when the owner would loosen these two allen head screws, the inside washer and rubber grommet would fall off of the threaded screw and fall inside the body of the guitar, there to rattle and bounce around for eternity. 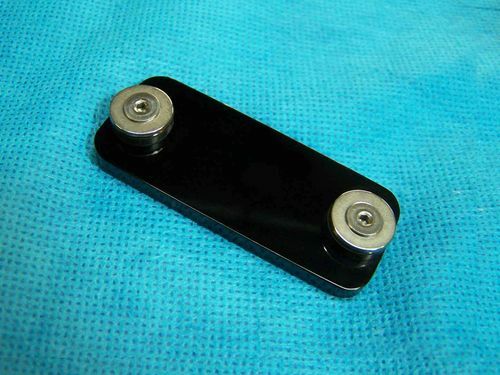 We asked Jeff to see if he could make some type of a minor revision to improve the functionality of this "simple' part. Well, Eureka! 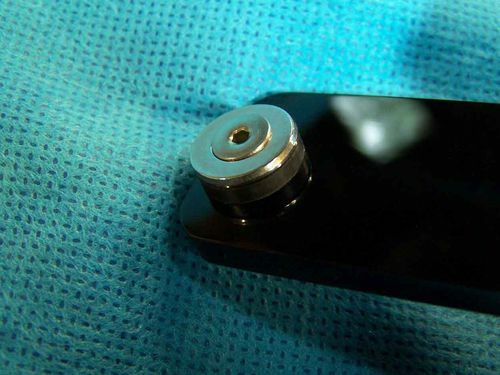 This new mod eliminates the allen headed screw and will permanently maintain the integrity of all of the parts. 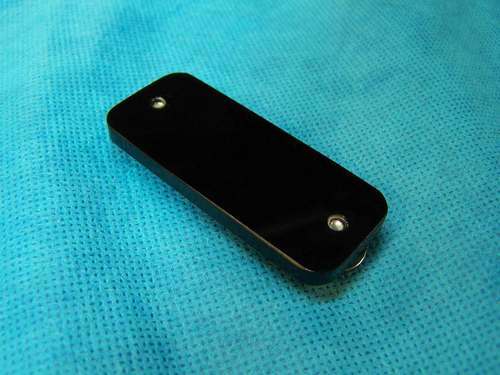 He used a 300 series stainless steel retainer system coupled with high-quality EPDM rubber retainer washers. This "new and improved" model works perfectly. 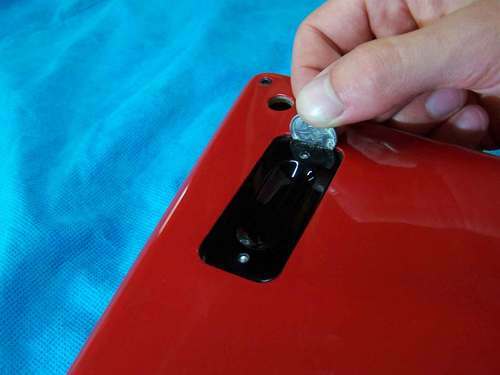 It can easily be installed and removed with a coin.